These interesting Trichocereus purpureominata seeds are the result of a cross between Trichocereus purpureominata (a purpur flowering Trichocereus huascha) and the Trichocereus hybrid Peppermint Dreams. 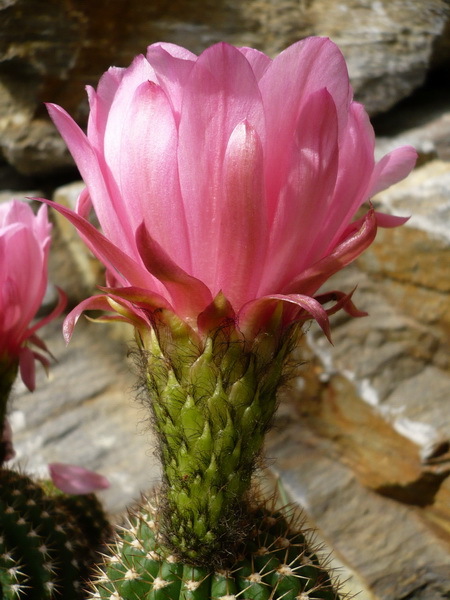 The correct way to write it is Trichocereus purpureominata x Trichocereus sp. “Peppermint Dreams”. The resulting offspring will most likely look similarly amazing as the parents and I am glad to have this Trichocereus hybrid cross in my shop.